La Australia Del Espirituy Santo. The Journal of Fray Martin de Munilla... and other documents relating to the Voyage of Pedro Fernandez de Quiros to the South Sea (1605-1606) and the Franciscan Missionary Plan (1617-1627). Translated and Edited by Celsus Kelly. Cambridge: Published by the Hakluyt Society at the University Press,	1966. In two volumes. First of this edition. London: Harvill, 1983. First edition. The destruction of Tahiti by waves of European settlement. Tall 8vo., cloth, 453pp. A fine copy. "This is an account of the journey of a delegate to the Second Pan-Pacific Science Congress held in Australia......" The author also spent time in Japan, Java, China. Adventure in New Zealand. An Abridgement, edited by Joan Stevens. (Chirstchurch): Whitcombe and Tombs,	1955. First abridged edition. Cloth, 320pp. Fine in a near fine d/w. First published in two volumes in 1844, this is an abridgement of "the livliest and most readable accounts of life among the Maoris and colonists at the time of the foundation of the New Zealand Company's settlements." The Proving Grounds. 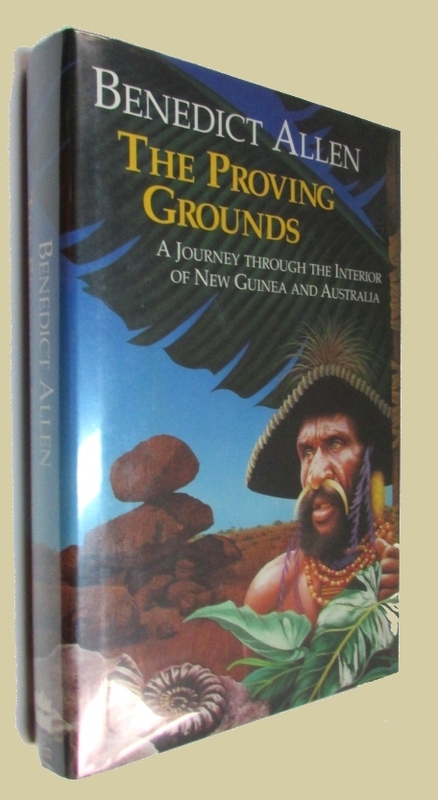 A Journey through the Interior of New Guinea and Australis. (London): HarperCollins, (1991). First edition. An eight month journey in Papua New Guinea and Australia. 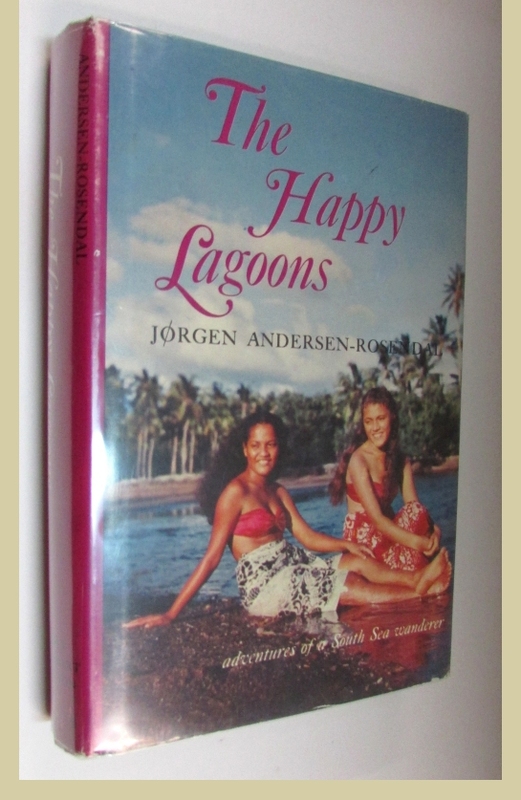 The Happy Lagoons, Adventures of a South Sea Wanderer. New York: Holt Rinehart Winston, (1961). First U.S. edition. Near fine in a very good d/w. A Danish traveller in Tonga, Tahiti and Samoa. (Wellington: A.H. & A.W. Reed, nd.--196-?) ) Two volumes in one. Reprint. (first published in 1846). Sm.8vo., cloth, xii, (340); viii, 280, (16)pp. Small tear in front spine gutter o/w near fine in a very good d/w. 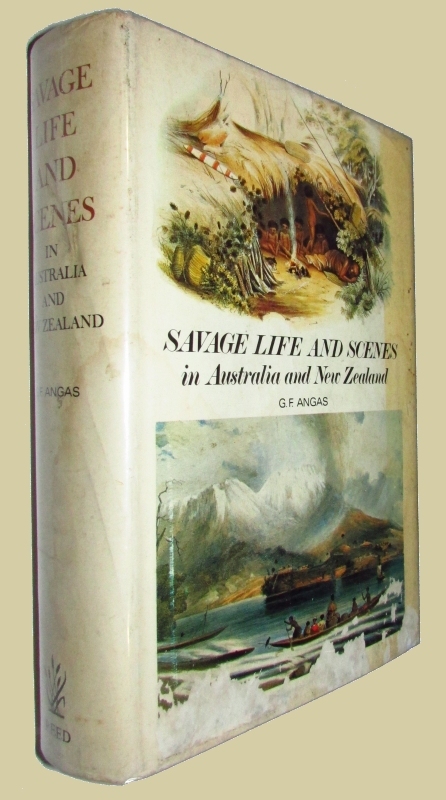 A facsimile of the original edition published in 1846 by Angas, British merchant-settler who became known as "father and founder of South Australia." Joel Bulu: The Autobiography of a Native Minister In The South Seas. Translated by a Missionary. London: T. Woolmer,	1887. Ninth thousand, so stated. 12mo., orig. pictorial red cloth, 126pp. Bookplate, dampstain on lower edge of front and rear pastedown and free e/papers which affects the lower boards very slightly o/w a very nice copy. Work of Bulu which took place mainly in Fiji. Old New Zealand. A Tale of the Good Old Times and a History of the War in the North Against the Chief Heke, in the year 1845, told by an old Chief of th Ngapuhi Tribe. Also Maori Traditions by A Pakeha Maori. Aukland: Whitcombe and Tombs,	1930. 8vo., cloth, 386, (2)pp.ads. Lacking the front free e/paper, name on verso of half title o/w very good. Dreamkeepers. 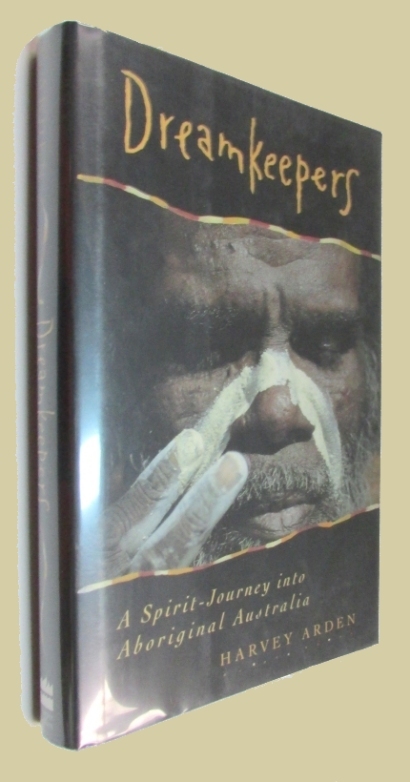 A Spirit Journey into Aboriginal Australia. (New York): HarperCollins, (1994). First edition. The New Zealand Letters of Thomas Arnold the Younger with further letters from Van Diemen's Land and Letters of Arthur Hugh Clough 1847-1851. Edited by James Bertram. Wellington: University of Auckland Press,	1966. First edition. Cloth, 257pp. Fine in d/w with chips to the head of the spine. Journey's To The Past. Travels in New Guinea, Madagascar, and the Northern Territory of Australia. Guildford: Lutterworth Press, (1981). First edition. London: Lutterworth,	(1960). First edition. Cloth, 224pp. A bit faded at the foot of the spine o/w fine in a d/w with chips at spine ends. Attenborough describes his two expeditions to the South Seas in search of people and their primitive way of life. London: Lutterworth, (1964). Second impression. A nice copy in a near fine d/w. 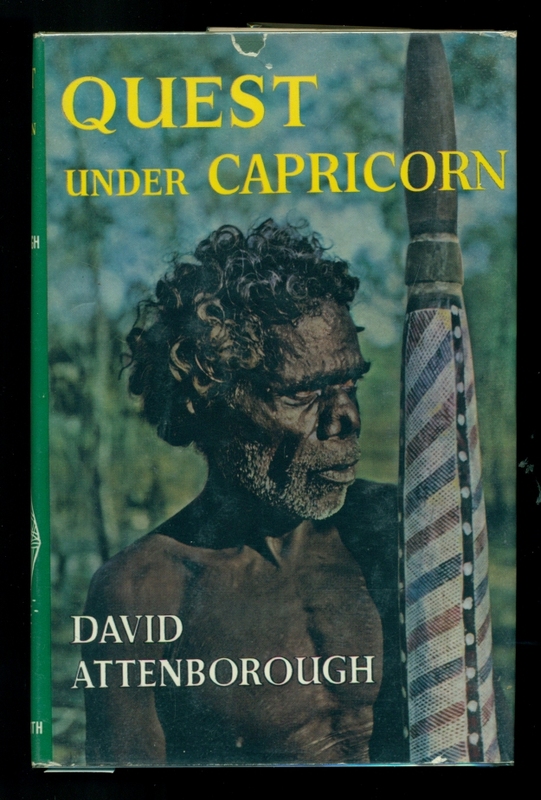 A description of four months in the Northern Territory of Australia, about equally divided into descriptions of the flora and fauna or the region, and of the Aborigines and their traditions. Leipzig: Bernhard Tauchnitz,	1874. Later Tauchnitz edition. 12mo., orig. printed wrappers, 279, 32pp.ads dated "1903." Near fine. An Open Path Christian Missionaries 1515-1914. London: Hutchinson,	(1979). First edition. Cloth, 325pp. Fine in d/w. "By 1914, the empires of European states covered most of the globe. And during all that time, when a merchant or coloniser went abroad about his business, a missionary was close at his heels." A account of the missionary legacy in various locations, including the South Pacific, Africa and South America. In Search of Tusitala. Travels in the Pacific After Robert Louis Stevenson. (London): Picador,	(1994). First edition. Cloth, 333pp. Fine in d/w. The author retraces Stevenson's steps in the South Pacific; to Tahiti, Polynesia and Micronesia. Wellington, NZ: The New Zealand Times,	1904. First edition. 8vo., orig. red cloth, viii, 225pp. Lacking front free e/paper, spine faded o/w a nice copy. 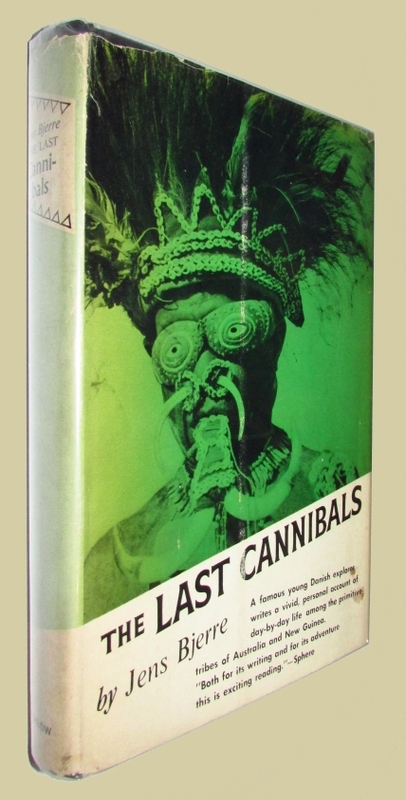 The Last Cannibals. Translated from the Danish by Estrid Bannister. New York: Morrow, 1957. First edition. Very good in a lightly worn d/w. 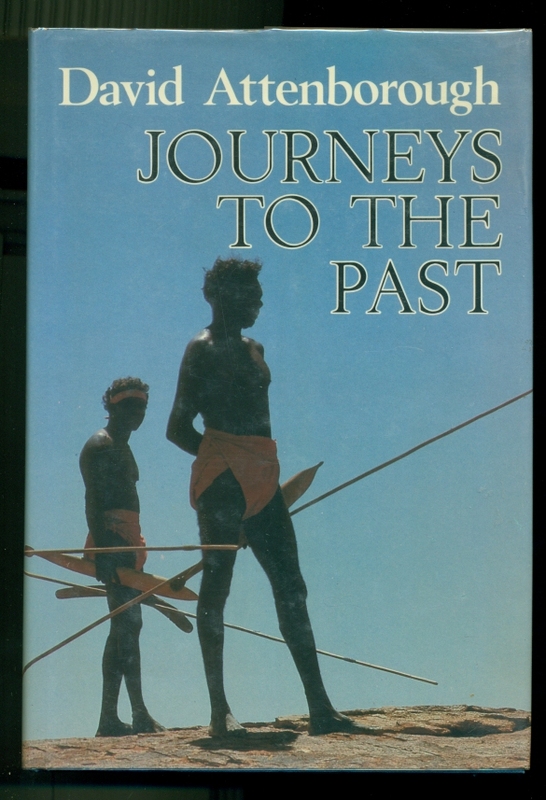 An account of aborigines in New Zealand, Australia and New Guinea. The White Men. The first response of aboriginal peoples to the white men. Foreword by Dr. Edmund Carpenter. An anthology of native responses to the arrival of the first Europeans, showing how white civilization had a bewildering and often violent impact on the ancient traditions and patterns of living. Deals with Africa, America and Australia.